Dust off your kayak and stock up on butter. While commercial fishing for both rock and Dungeness crab is still on hold in our county due to unsafe levels of toxic domoic acid, which can prove harmful and even deadly to humans, the California Department of Fish and Wildlife has announced recreational Dungeness crab fishing is a go in Humboldt County. The department's press release today lists "Recreational Dungeness crab fishery open along mainland coast south of 40° 46.15 N Latitude, at the Humboldt Bay entrance, Humboldt County, including ocean waters of Humboldt Bay" as open and safe according to recent testing. Rock crab is still not clear for recreational fishing, and there is no word on when or if there will be a commercial crab fishing season. 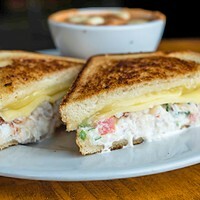 Despite the recent tests showing our Dungeness crab safe for consumption, the department warns you to stay on the safe side and skip eating the guts, which can contain a higher concentration of domoic acid, or using the broth from boiling crabs, which can draw out more of the toxin than is found in the body meat. Commercial and recreational rock crab fisheries are open along the mainland coast south of 36° 58.72 N Latitude at Sand Hill Bluff, Santa Cruz County (approximately 9 miles north of Santa Cruz Harbor entrance) to the California/Mexico border. 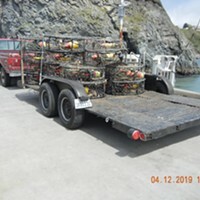 The recreational Dungeness crab fishery is now open south of 40° 46.15 N Latitude at the northern jetty of Humboldt Bay, Humboldt County to the California/Mexico border, including ocean waters of Humboldt Bay. A closure for the recreational rock crab fishery remains in place north of 36° 58.72 N Latitude and in the Channel Islands exclusion area between Santa Cruz and Santa Rosa islands (see coordinates below) while a closure for the recreational Dungeness crab fishery remains in place north of 40° 46.15 N Latitude to the California/Oregon border. The commercial rock crab fishery remains closed north of 36° 58.72 N Latitude to the California/Oregon border and in the Channel Islands exclusion area between Santa Cruz and Santa Rosa islands (see coordinates below). The commercial Dungeness crab fishery remains closed north of the Mendocino/Sonoma county line. 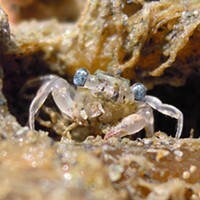 Despite several weeks of test results that showed samples below alert levels, as a precaution, CDPH and OEHHA recommend that anglers and consumers not eat the viscera (internal organs, also known as "butter" or "guts") of crabs. CDPH and OEHHA are also recommending that water or broth used to cook whole crabs be discarded and not used to prepare dishes such as sauces, broths, soups or stews. The viscera usually contain much higher levels of domoic acid than crab body meat. When whole crabs are cooked in liquid, domoic acid may leach from the viscera into the cooking liquid. 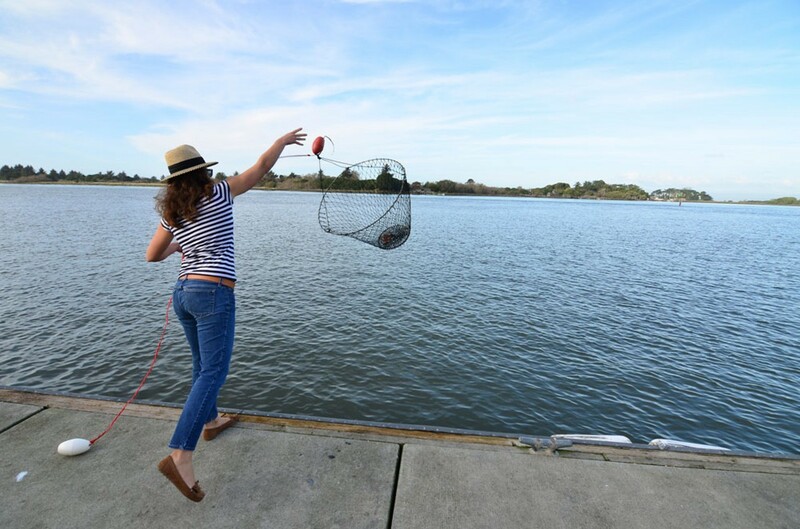 This precaution is being recommended to avoid harm in the unlikely event that some crabs taken from an open fishery have elevated levels of domoic acid. (5) 34° 7.75 N Lat. 120° 0.00 W Long.